Donated by: Linn Hackman of Denville, New Jersey (manuals). 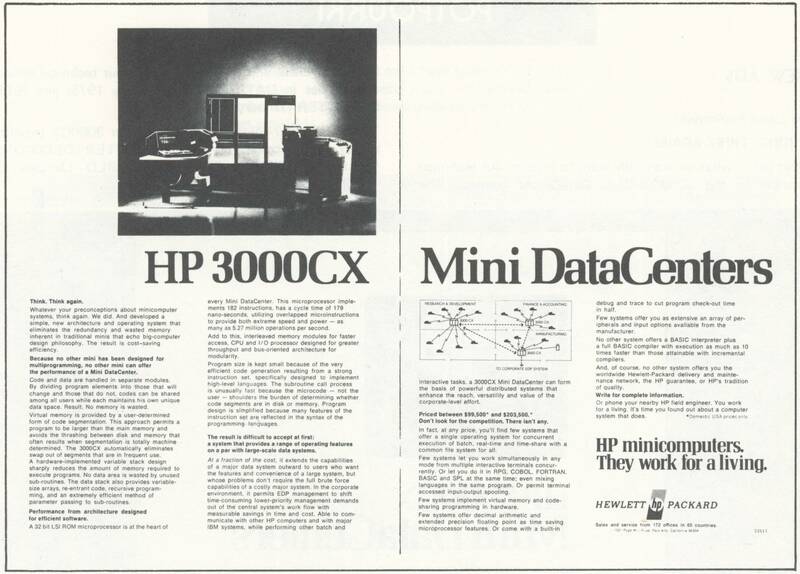 The 3000CX computers came in four models: 50, 100, 200 and 300. 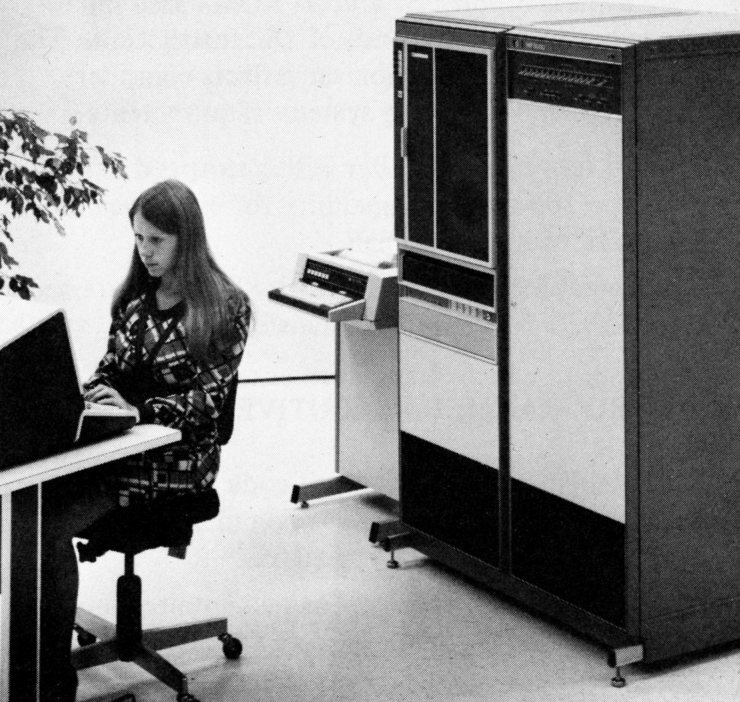 The base model 50 (P/N 3000C) came with 96K magnetic core memory, 2762A printing terminal, 7900A disc drive, 7970 tape drive and a 16-port terminal controller. 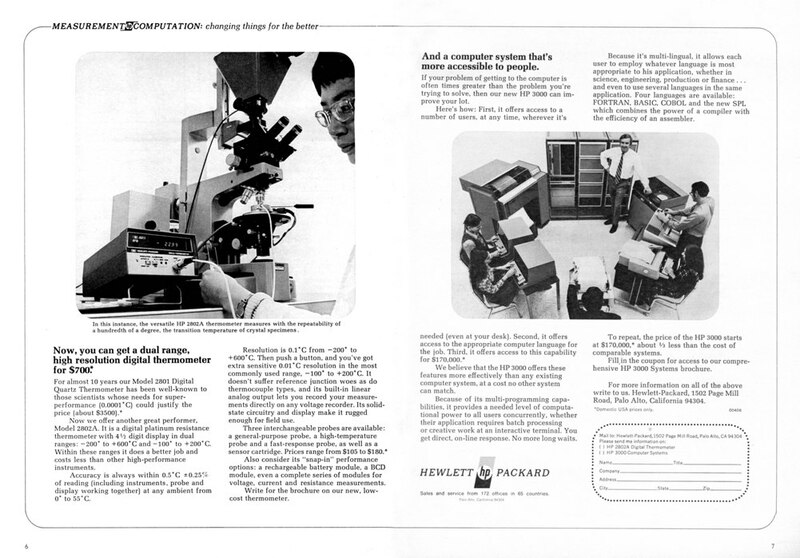 The model 100 (P/N 32400C priced at $129,500) also included a 2607A printer and a 2893A card reader. The disc drive was a 7905A. The model 200 (P/N 32401C priced at $171,000) was the same as the model 100 with 128K memory and a 2883A disc drive. The model 300 (P/N 32402C priced at $203,500) was the same as the model 200 but the 2607A printer was replaced by a 2618A and the 2893A card reader was replaced by a 2894A card reader/punch. HP considered the 3000 CX to be an instant success. The company received 20 orders for the CX in its first three months on the market (November of 1974 through January of 1975). The 3000 CX was obsoleted in March of 1980.